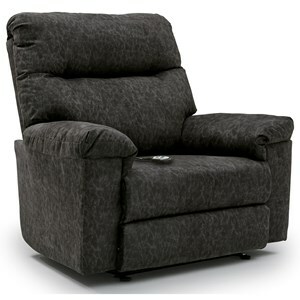 Oversized in the name of comfort, this space saving reclining sofa is perfect for cuddling up with your favorite person or pet, or sprawling out all by yourself. 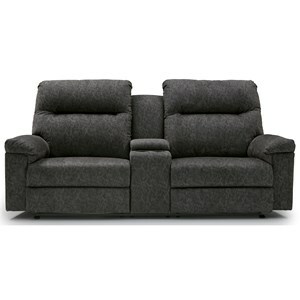 Generously plush pillow-top arms surround the extra wide seat while the bustled back keeps your lumbar feeling supported. If you're concerned about space, no need to worry. This sofa is equipped with a space saving mechanism, allowing you to place it close to a wall while maintaining the ability to recline. Cover this sofa with your choice of fabric for a piece that truly captures the look you've been after. 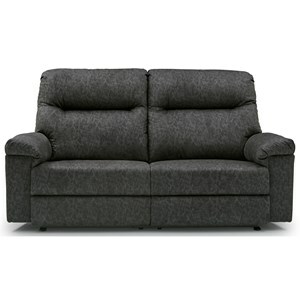 The Bayley Casual Wall Saver Reclining Sofa with Pillow Arms by Best Home Furnishings at Hudson's Furniture in the Tampa, St Petersburg, Orlando, Ormond Beach & Sarasota Florida area. Product availability may vary. Contact us for the most current availability on this product. The Bayley collection is a great option if you are looking for furniture in the Tampa, St Petersburg, Orlando, Ormond Beach & Sarasota Florida area. Browse other items in the Bayley collection from Hudson's Furniture in the Tampa, St Petersburg, Orlando, Ormond Beach & Sarasota Florida area.